We chose Hershey because there is a bunch of stuff to do there and it is almost a halfway meeting point. Well, not really…Josh and I definitely had the shortest drive. 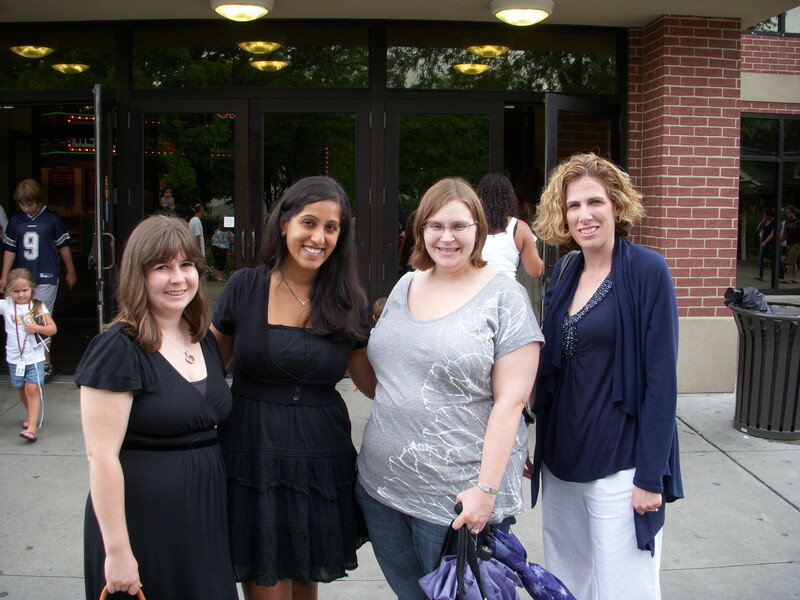 However, Hershey is centrally located enough that everyone agreed to meet us there. For those of you who don’t know, Hershey is a small town in central Pennsylvania where Milton Hershey decided to open a factory to mass produce milk chocolate. 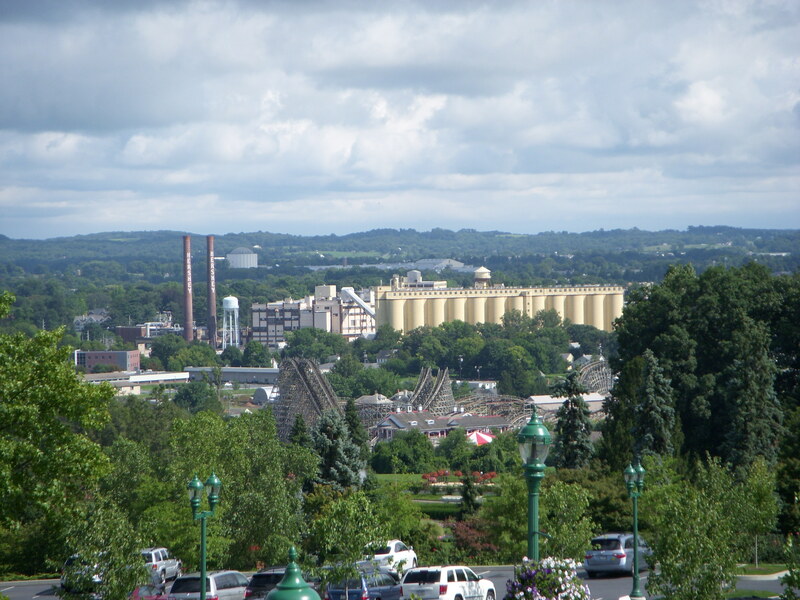 Now Hershey is mostly a tourist destination with a theme park and a fancy hotel. We spent the majority of the day in the theme park. The park was fairly crowded that day and we only rode two or three rides. We also visited ZooAmerica (because Josh loves zoos and admission is included with the ticket to Hershey Park.) Every one had a great time at ZooAmerica but we were super sad when it flooded the very next week and several animals were lost. 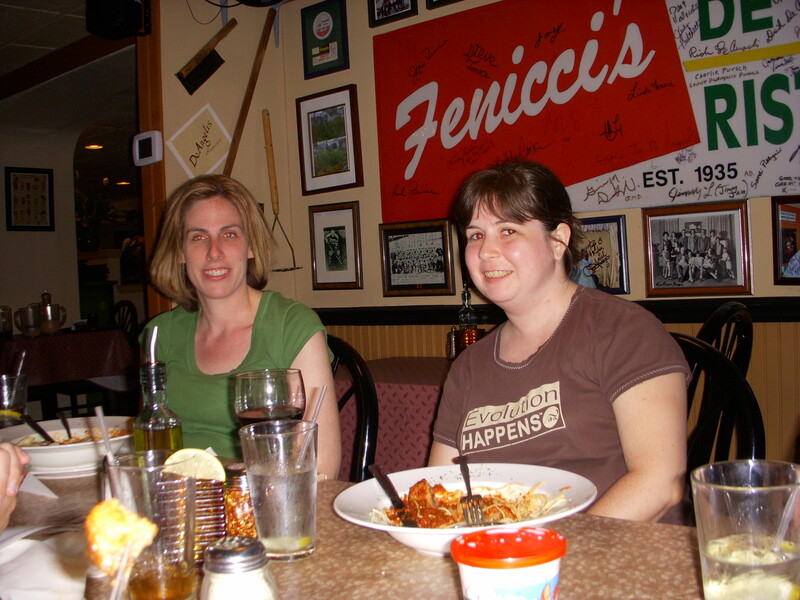 After spending a few hours at the park, we all went out for dinner at an Italian restaurant. 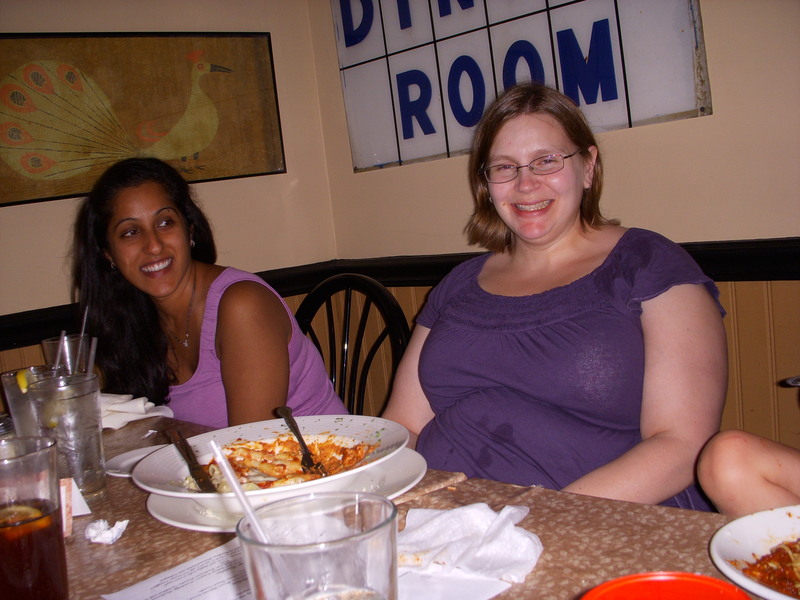 I was remember being impressed with the food and I know everyone had a very good time. 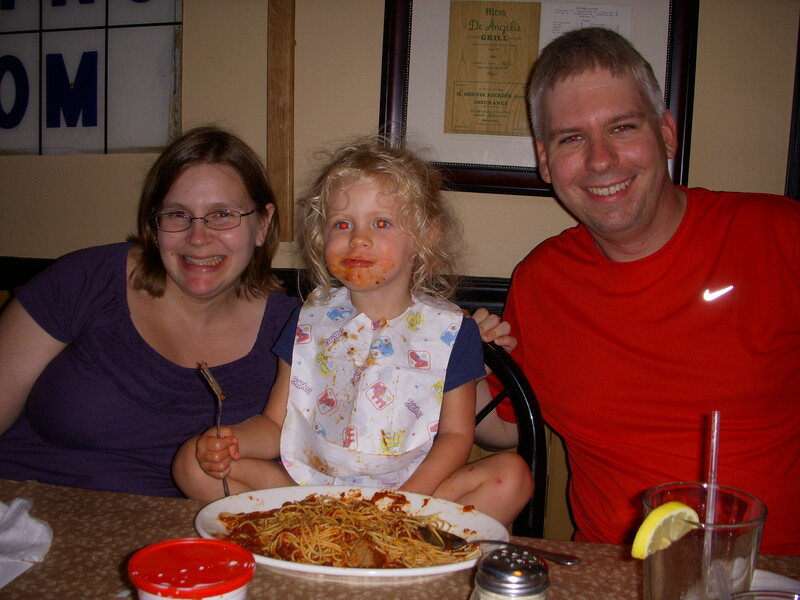 Especially Tom and Sarah’s daughter, who got spaghetti sauce all over herself! We were all staying in the same motel and after dinner we went back to the motel and hung out in the lobby talking. I think we also exchanged gifts. The next day was rainy but we braved the bad weather to go back to Hershey to visit Hershey’s Chocolate World. Chocolate World is mostly an enormous store but there are a couple of attractions about making chocolate including a ride about the history of Hershey and some information about how chocolate is produced. I think this replaced the factory tour, if there ever was a factory tour. They always give out a sample of chocolate at the end of the ride and we got some Hershey’s Drops. I was surprised because I thought they would have a candy shell like M&Ms but they were much more like Kisses but without the foil wrapper. Chocolate World is free and open year round and it was packed on that rainy Sunday morning. After the tour we walked around the shop and had a snack. Hershey was doing a big S’mores thing so we got a couple of S’mores themed treats. We had a bar cookie similar to this one that I found from the Hershey’s website (actually I liked the cookie we had so much I went looking for a similar recipe on their site.) They had a cool make your own candy bar tour that would have been fun to do but we had plans! Sarah and Madu had to head home but Dorothy and I had reservations for the Hotel Hershey’s Sunday Brunch! 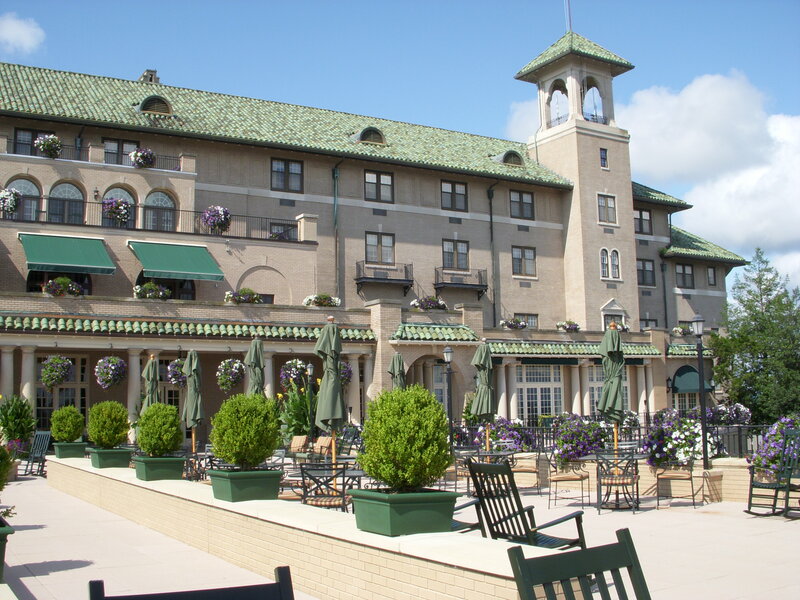 The Hotel Hershey is a gorgeous hotel and spa. The spa is really cool because it has a bunch of treatments that incorporate chocolate! 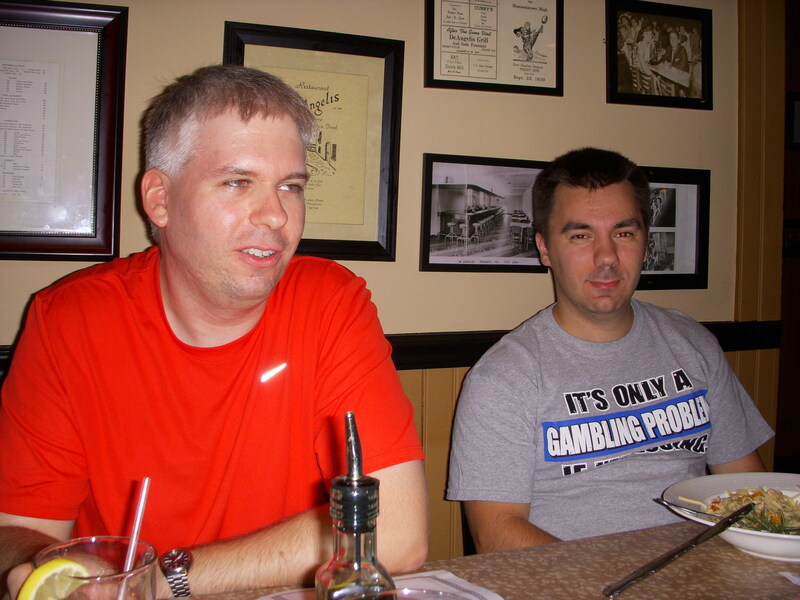 We’d thought about trying to do a trip to the Hotel Hershey spa for years but it was just a little too expensive. 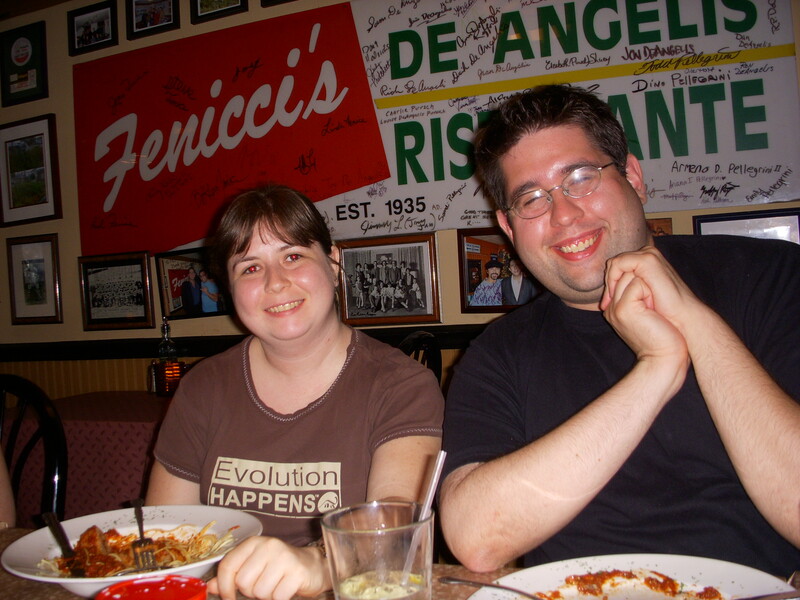 When we were planning this trip we had tossed around having a fancy dinner at the Hotel but it seemed a little too fancy for the occasion and the Italian restaurant ended up being perfect. Still, when I saw all of the information about the brunch, I thought it was too good to pass up and I was right! The brunch was on the expensive side but the spread was awesome. They had warm breakfast and lunch options as well as a carving station and an omelet bar. There was a nice salad bar and a variety of cold fish salads. And there was a very awesome assortment of desserts. There were 10-15 different desserts including a chocolate fountain. Oh and I forgot to mention the Bloody Mary/mimosa bar. The Hotel was offering three types of Bloody Mary with your choice of garnish and three types of mimosa with different choices of garnish. The drinks cost extra of course but it was a nice twist on classic brunch drinks. Everything we had was delicious but my favorite was the roast beef. 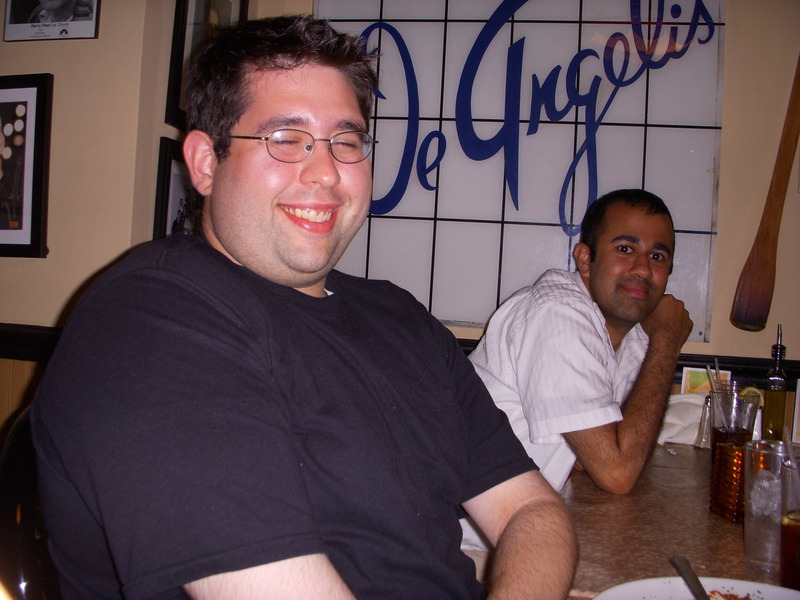 If I were to go again I would definitely forgo the breakfast options and eat tons of that roast beef! After brunch, we walked around the grounds for a little while and then headed back to our homes. This was a great Birthday Weekend, especially because I was able to see all of my friends!